We have over 300 years of combined experience with children between us. Rare is the situation that one of us has not come across… and we are happy to share our expertise with you. Our commitment to early care and education is strong, and we spend many hours in team discussions, in-service courses, area meetings and workshops, increasing our knowledge and perfecting our techniques with the children. The number of teachers with teaching degrees at Sherwood School is astonishing. Eleven of our teachers are parents as well as educators, knowing full well the heartbreaking separations, teary new milestones, and the way we felt when the lunchbox was missing again! Every year calls for a fine-tuning with a new group of children, for our job is to meet the varied and intricate needs of every child and family. 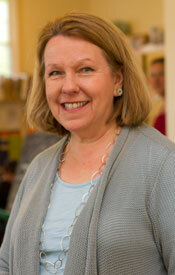 Nancy Marston is the Director and founder of the Sherwood School. This is her 59th first week of school, and thirty second year at The Sherwood School. Her degrees are Psychology and Education with a Master’s in School Psychology. She is certified in the State of Connecticut. As many of you know, the school was founded when she discovered a need in the area for high quality early childhood programs when she was searching as a mom. 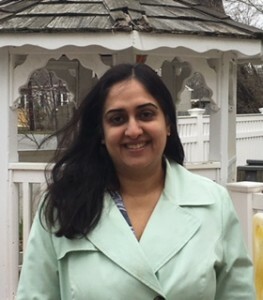 She is active on the local level with all early childhood councils, Youth and Family Service bureaus, and behind the scenes with the The Connecticut Association for the Education of Young Children after being a board member for many years. She regularly presents workshops to teachers at conferences in the region and has taught early childhood classes at area colleges. She also serves as a consultant for the State Department of Education. On the national level, she has served as a validator for The National Association for the Education of Young Children, mentoring directors and programs, and worked on validation teams for centers seeking accreditation. 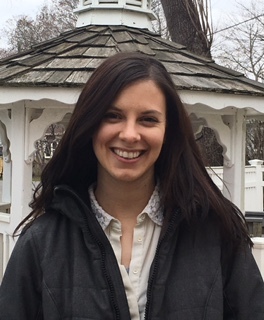 She has also founded the Old Saybrook Early Childhood Council. Her commitment to families is unwavering and is always available to sit down and chat about any early childhood issue. Nancy is mother of two, grandmother of four, and enjoys cooking, gardening, reading and travel-especially to Portland, Maine and Boston to visit those babies! Carina Risatti is in her fourteenth year with us. She was born and raised in Argentina, and is the mother of two, both UConn graduates. 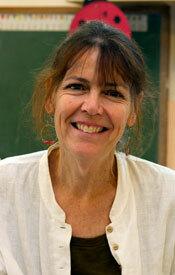 She is a warm, wonderful, engaged teacher and brings a bilingual approach to her teaching. Carina is always one of the first on staff to spot an interesting workshop or class to add technique or new research to our repertoire. Carina has a degree in Early Childhood Education. She enjoys hiking and biking with her husband, cooking, travel, and spending time with friends. 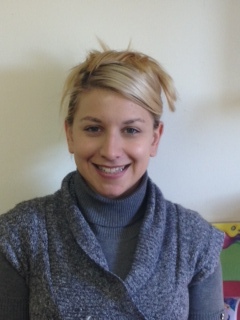 Carina is the coordinator of the PreK building. Lois is in her eighteenth year with us, and is a Head Teacher. (Did you know that a ‘head teacher’ has to be “certified” by the State Department of Education, with enough experience and college credits specifically in Early Childhood Education to meet their requirements? Did you know that our license requires that ONE head teacher is present for 60% of the day for the entire program?) Our standards at The Sherwood School are quite different! An Early Childhood degreed and very (35 years!) 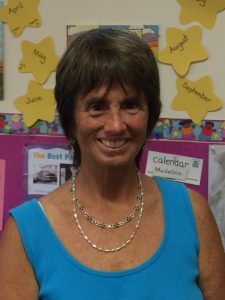 experienced teacher, Lois’ Pre- K group is known for their intricate science activities, their love and respect for nature, and developing a lifelong love of books.Lois is a mother of three, and grandmother to Caroline. She loves her cats, volunteers at Forgotten Felines, and spends her time hiking, kayaking and mountain climbing. 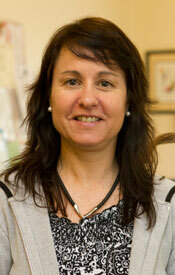 Lois is our Curriculum and Health coordinator. Paula Marshall is going into her fifteenth year with us. 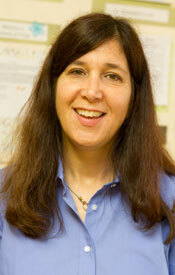 She holds a Child Development Associate’s Degree and has twenty seven years of experience teaching young children. Paula is a loving and thoughtful teacher. Her patient and caring ways create a warm community. Paula is mother to Nathan, close to finishing up medical school, and enjoys gardening, sewing, baking and walking through her beach neighborhood with her husband. Paula works hard to make sure the children’s environment and materials are developmentally appropriate,engaging and tied to our current curriculum. Nicole is in her fifth year with us. She is a member of the Pre-K team. She is degreed and certified, with years of experience in a wonderful preschool. Nicole has an infectious laugh that she shares frequently in the classroom! She enjoys hiking and reading in her free time. Nicole assists in admissions. Erin has worked with children of all ages for over twelve years. She has a degree in Psychology with a concentration in Child Development. Her love of community, creative thinking, and exploring makes her a natural Toddler Teacher! Erin is very close to her family and enjoys the beach and traveling. She is fluent in Spanish and has lived in Spain. She enjoys teaching her Toddlers Spanish. They learn new words each week, and listen to many songs in Spanish. Asmaa has a BA in Speech and Language Pathology, and a Master’s Degree in Special Education. Her speech background is an amazing asset in our Toddler classroom. She has worked with young children for over ten years and is thrilled to be with our ever curious toddlers. She is fluent in three South Asian languages. Asmaa enjoys spending time with her husband and three children, ages 8, 12, 14. When she has free time you can find her traveling, reading or at one of her children’s activities. Shaleigh Reynolds continues as Office Manager, in her nineteenth year with us. All questions regarding tuition should be addressed to her on Mondays and Thursdays, from 9-12, or put in writing. We try very hard to make our policies clear, but know that questions will arise. Shaleigh always welcomes your calls to clarify or explain anything you may have a question about. Shaleigh is the mother of three wonderful girls who keep her on the go! Judy Potter has been at Sherwood for six years. She is our Creative Dramatics teacher and joins the upstairs classroom twice a week during the Extended Day Program. Judy’s amazing storytelling skills bring all of her stories to life. Her love of children is clear as she guides the children though creating their own plays. When Judy is not with the children, she enjoys boating, swimming, cooking, and playing the guitar and piano. Judy also enjoys trips to the Poconos with her husband of thirty nine years. Jonathan joins us for another great year of music! Jonathan is owner and teacher at Corner Music, bringing songs and many instruments to life every day! We have known Jonathan for many years, his son is a Sherwood School alum! We are so happy to welcome him back. Jonathan joins us each week to share wonderful folk and classic children’s music. 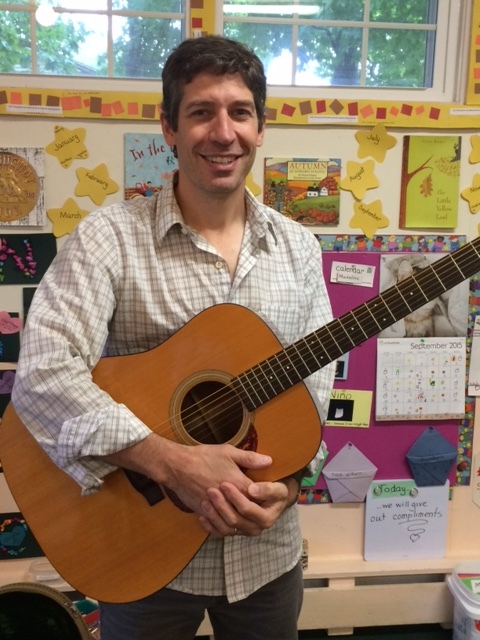 Thank you Jonathan for bringing songs to life with different instruments each week and unbridled enthusiasm!